Greg Van Avermaert has taken the leader's jersey after BMC Racing team was dominant at the third stage's team time trial. The good time set by BMC at the stage put van Avermaet in the top position of the General Classification. "I think we were really smooth today," he commented. "I think everybody did a good time trial and we were all working well together. "We knew that Team Sky would be the team to beat and we also knew that it would be close. We worked together and that's what team time trials are about. We stayed together with eight guys for a long time and on this parcours, that was the key to winning the race." The Olympic champion had already worn the Yellow Jersey in 2016. 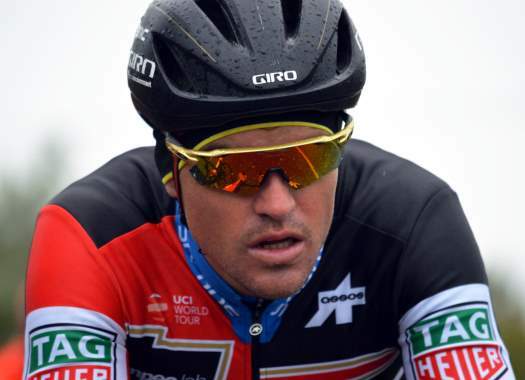 "It was a goal to get yellow in the first week," Van Avermaet explained. "I have worn it one time already and it was an incredible feeling so, I am pretty happy to be in this position for the second time. "I will enjoy it tomorrow because for any rider it is a special feeling. I want to thank my teammates as, without them, it wouldn't have happened."